Applause is set to ring out during a “minute of noise” on Wednesday (23 March) as trains, trams and buses halt to remember the 32 people killed and more than 320 injured in the attacks claimed by the Islamic State (IS) group. The aftermath of Tuesday’s twin bombings at Brussels airport and on its metro. 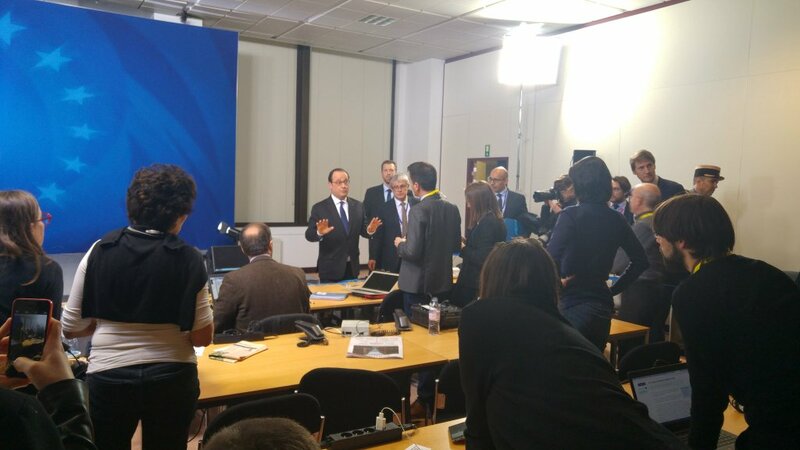 EURACTIV gives up to the minute updates on the latest developments and implications at European level. 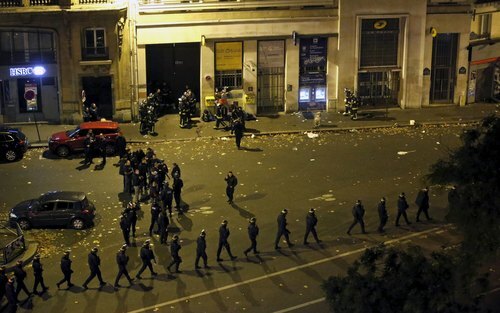 Belgium remains on high alert with troops patrolling the streets a year after the blasts, carried out by a network that investigators say was also behind the November 2015 Paris attacks. “Our country is safer now,” Interior Minister Jan Jambon told AFP in an interview, while warning that there was still a threat that battle-hardened jihadists fleeing the terror group’s last stand in Syria could come home to Belgium. The ceremonies start at Zaventem Airport where King Philippe and Queen Mathilde will lead victims, family members and rescuers in a service of remembrance for the 16 people killed there by suicide bombers Ibrahim El Bakraoui and Najim Laachraoui at 7:58 am on 22 March 2016. The royal couple will then travel by metro to Maalbeek metro station in the city’s European quarter where Bakraoui’s brother Khalid blew himself up on a crowded train at 9:11 am, killing a further 16 people. In a break from tradition, metro staff will hold a “minute of noise”, in which commuters will be invited to take part “to show that they do not forget but they will stay standing against hate and terror”, STIB, the Brussels public transport company, said in a statement. Finally the king and queen will inaugurate a new curved, steel memorial at the nearby Robert Schuman roundabout, which sits at the heart of the European Union institutions based in Brussels. 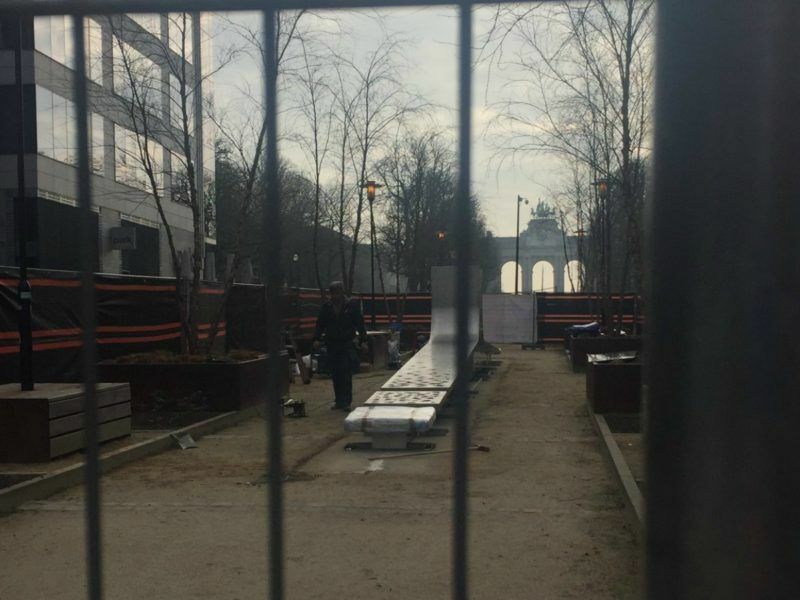 A Belgian artist is installing a metal sculpture shaped like rising waves near the very heart of the European Union to honour the victims of the militant attacks on Brussels a year ago that killed 32 people and wounded hundreds. 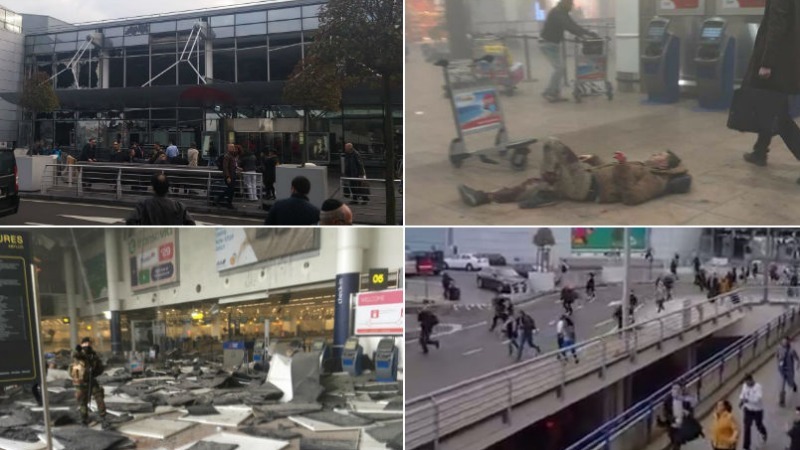 The shock of the attacks was compounded by accusations afterwards that Belgium had become a “failed state” that was unable to track down the IS-inspired cell behind the Brussels bombings and also the Paris attacks in which 130 people died. International media descended on the Belgian capital’s largely Muslim Molenbeek area where many of the attackers hailed from, as questions abounded about whether deep divisions between Belgium’s French and Flemish speaking communities had allowed growing radicalism to slip under the radar. Fugitive Paris attacker Salah Abdeslam was shot and arrested in a police raid in Molenbeek on 18 March 2016, raising speculation about how he had managed to get back to Belgium and remain undetected for nearly four months. A third airport attacker whose device failed to go off, Mohammed Abrini, dubbed the “Man in the Hat” because of the headgear he was shown wearing in security footage, was arrested – again in central Brussels – nearly a month after the attacks. All the suspects were linked to an IS cell led by Paris ringleader and Syria veteran Abdelhamid Abaaoud, a man of Belgian-Moroccan origin. Airport bomber Laachraoui was meanwhile identified as chief bombmaker for the Paris attacks. A year on, rifle-toting soldiers and military vehicles still stand guard outside key landmarks and other sites deemed at risk of attack, such as synagogues, while Belgium remains on its second highest terror alert level, 3 out of 4. Anti-terror laws have been stepped up, and police are to this day carrying out raids on people with possible links to the Brussels and Paris investigations. 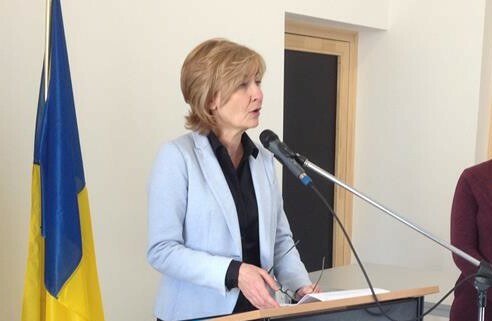 Jambon pointed out that “other democracies” had also been unable to prevent further attacks, suggesting that Belgium had been unfairly singled out for criticism when it was in fact a victim. 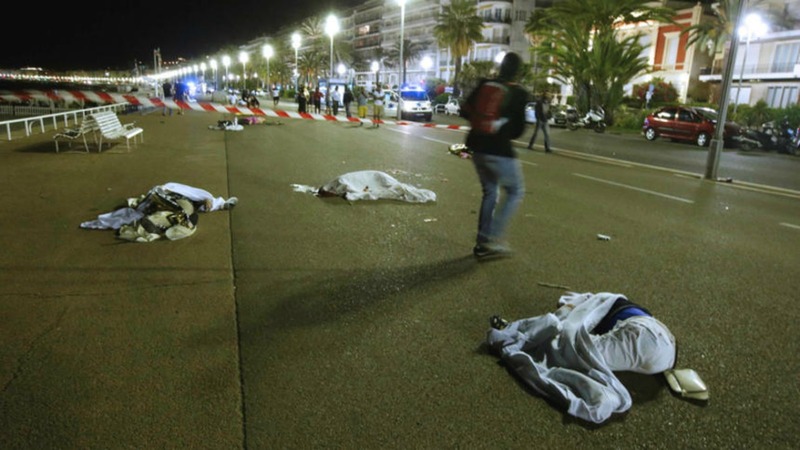 France has suffered from further jihadist horror, particularly the devastating truck attack on Nice in July 2016 that killed 86 people. 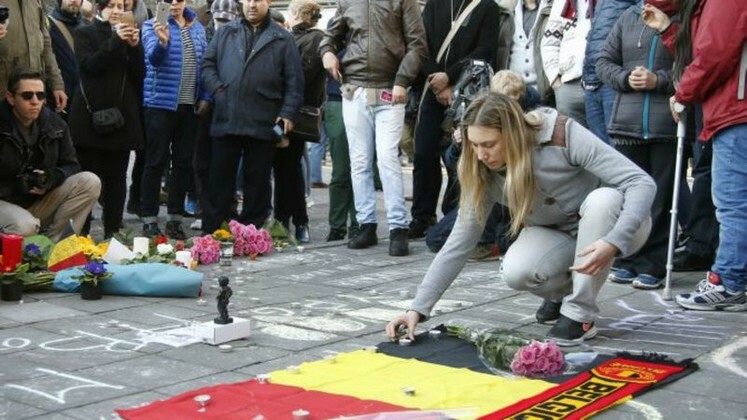 While Belgium is keen to show that it is still strong, the pain goes on for the victims. Around 900 people have been officially recognised by the state as victims – the bereaved, the injured, the psychologically traumatised – creating a new challenge for the country. Nine people including Abrini meanwhile remain in custody, with any trial said to be years off.